First, it is the lifeblood that enables a transmission to transfer power from the engine to the pavement. The torque converter uses ATF to form a hydraulic circuit in order to transfer rotational force from the engine to the transmission. Its second purpose is to cool the transmission by absorbing the heat created by all its moving parts and expelling the heat through the radiator. 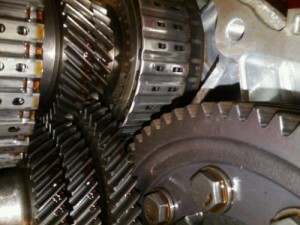 You’ll know that your transmission is slipping when it makes a gear change, but then seems to falls back out of that gear. Other symptoms include abrupt up/down shifts, unusually high RPMs before a shift, erratic shifting, and a groaning or grinding noise coming from the transmission. These problems may indicate that your vehicle is low on fluid, (which can cause it to overheat) and the friction material on the clutches and transmission bands are no longer able to securely engage a gear. This is a bad sign because it’s very likely that excessive wear/damage has already occurred. Being low on fluid can cause a noticeably longer delay when you select Drive or Reverse, because there isn’t enough fluid pressure to immediately actuate the gear change. It may take 2-3 seconds before the selected gear actually engages, leaving you with plenty of time to ponder the fact that you haven’t checked your transmission fluid lately. Another sign is when your vehicle starts shifting erratically (shifts come later or sooner than normal), or it sort of bangs/slams into gear. An automatic transmission relies on hydraulic pressure to change gears, and a lack of ATF can have a negative impact on both shift timing and smoothness. If there’s absolutely no ATF left in a transmission, it simply won’t work. No Drive, no reverse, nothing. Refilling the transmission with the correct type of ATF may bring it back to life in some cases, but you’ll still need to figure out how it got that low in the first place. 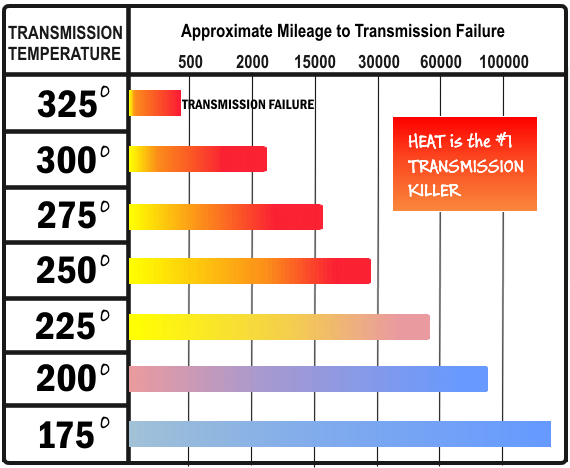 Since ATF is responsible for cooling the transmission, not having enough of it can cause it to overheat – very quickly. Signs of an overheated transmission include delayed or erratic shifts, slipping between gears, loss of power, smoke and/or a burning smell. If this happens, pull over immediately and let the transmission cool down. 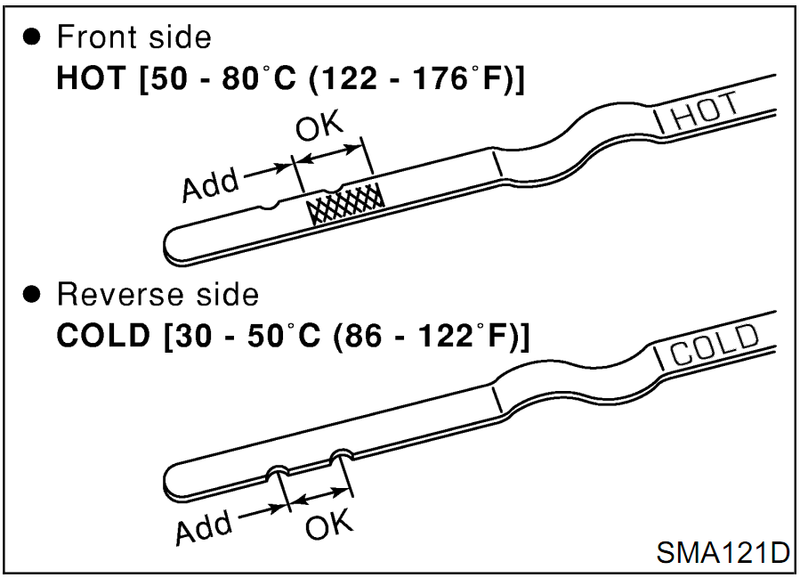 Temperatures in excess of 240 degrees can cause serious internal damage, so you really don’t want to keep driving. If any of the above symptoms persist after you’ve topped off the ATF, then it’s very likely that your transmission will need to be rebuilt or replaced. In this case, here are 8 options to choose from. 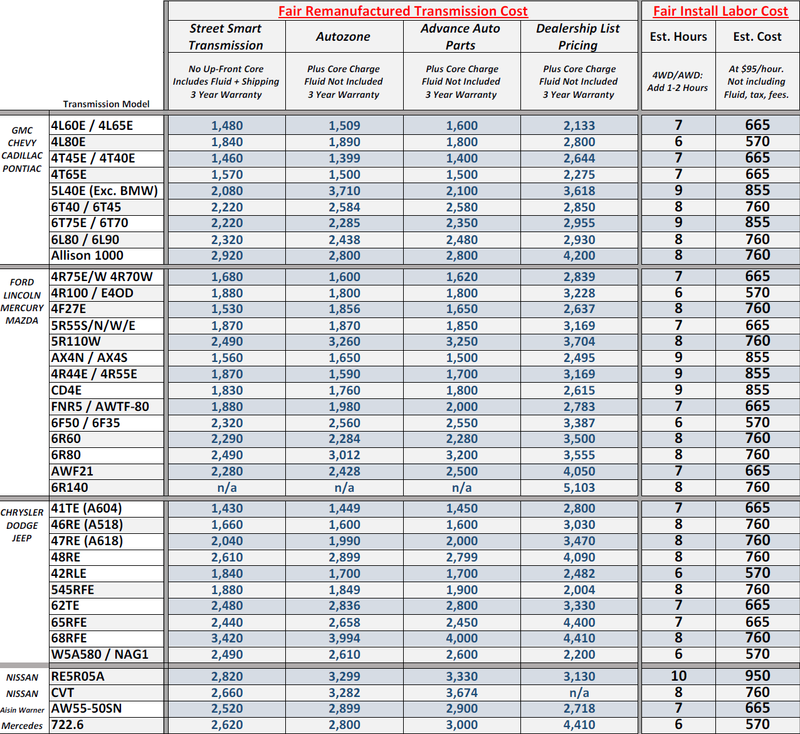 The problems listed above can lead to some very costly repairs if they are not taken care of. To avoid this, start checking your fluid on a regular basis. If you put a lot of miles on your vehicle or tow heavy loads, then you should check your ATF at least every 2 weeks. Otherwise, most drivers can check it once a month (unless there’s a leak). We’re interested to know – which of these symptoms are you experiencing? I have a 1997 z71 with a 4l60e. I put it in drive and it drives but won’t shift out of first. I can manually shift it ( 1,2,3) and that works, also reverse works fine. It has plenty of wheel power. What is up with that. Also its a newly rebuilt transmission with a new torqe converter. I put 1 quart in the torque converter before I installed it, then 8 after. 9 in all. Am I too low in fluid for it to shift out of first by itself?? I have a 2003 bmwi 525,does a lack of transmissions fluid make the Trans failsafe prog appear?? My 2006 honda odyssey i put it in drive and wont move at all. Does this mean the transmission is bad. August of last year a new transmission was put in it. Did try another good computer but that didn’t help so not likely that —could this be a damaged or corroded wire ? could it be relay or trans computer if they have separate computers ? Dig the neutral switch out of the steering column and pull the slider back and forth while turning your key. At a certain point on the slider your truck should start rotating and start. Hi I have a 2007 Ford Focus with 200, 000 km on odometer. For the past several days I have noticed that when I first start driving the car in the morning that the first gear shift from first to second during exceleration that there is a resistence and sometimes a bit of a clunk. Then it shifts and there are no other issues. Fluid levels were good when I checked last week, no visible leaks beneath the car. Hi I have a f250 1986 two wheel drive. When I first start out it delays 1second latter it engages in to first. It will do that up to four times each time it starts say after a stop sign. Then it won’t have a problem the 5th time or for the rest of the drive. I have not checked the level or condition of the fluid. Pulled out of camping and trans would not shift out of 3rd gear. Drove it 125 miles keeping rpm Round 50 got home would not shift in reverse. Next day it would back up drove to cover and haven’t drove it n couple months. Was 2 quarts low on transmission fluid any suggestion? Hi George, did you get to know what the issue of your focus, I have the same problems.